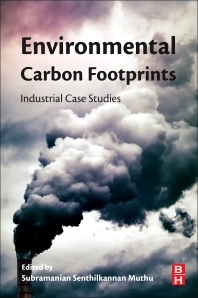 Environmental Carbon Footprints: Industrial Case Studies provides a wide range of industrial case-studies, beginning with textiles, energy systems and bio-fuels. Each footprint is associated with background information, scientific consensus and the reason behind its invention, methodological framework, assessment checklist, calculation tool/technique, applications, challenges and limitations. More importantly, applications of each indicator/framework in various industrial sectors and their associated challenges are presented. As case studies are the most flexible of all research designs, this book allows researchers to retain the holistic characteristics of real-life events while investigating empirical events.